There is no question; the companionship and unconditional love pets give to people can be life-changing. But in some cases, pets actually have the ability to be life-saving. 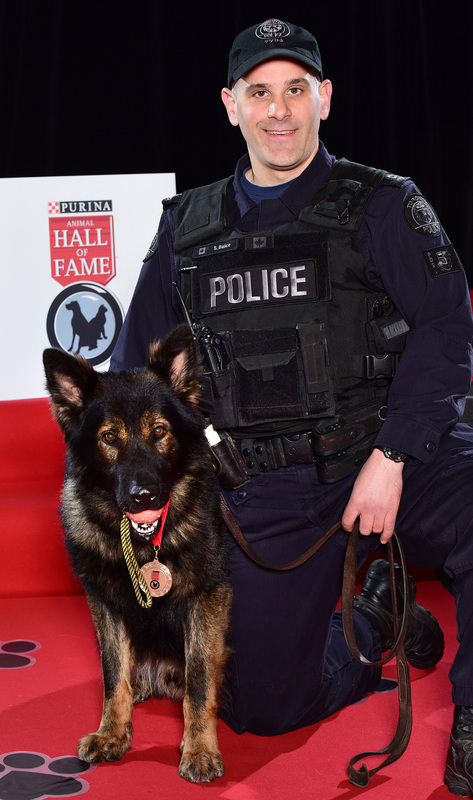 This morning, Purina honoured extraordinary acts of animal heroism at the 48th Annual Purina Animal Hall of Fame, hosted at Purina PawsWay, its permanent home. 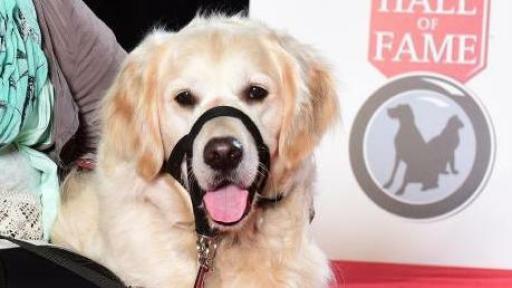 This year’s inductees, comprised of four devoted and persistent pooches and one service dog, were recognized for the actions they took to save a human life. The incredible stories honoured today proved that animals will do what they absolutely have to – including acting out of character and even putting their own lives at risk – in order to protect the people they care about most. 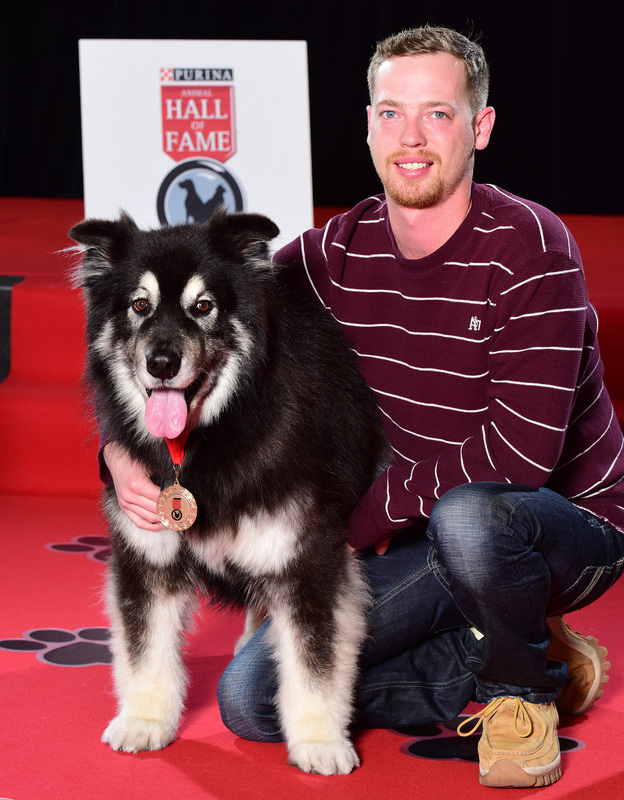 Since its inception in 1968, the Purina Animal Hall of Fame has honoured pets and service animals for their remarkable feats of bravery, from alerting humans to life-threatening medical emergencies, to saving them from extremely perilous conditions. 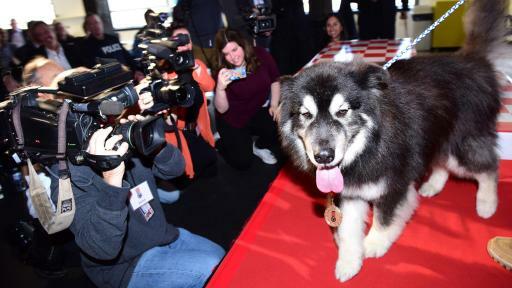 In the last 48 years, 172 animals have been inducted, including 144 dogs, 27 cats – and even a horse. The 2016 inductees have joined these ranks. 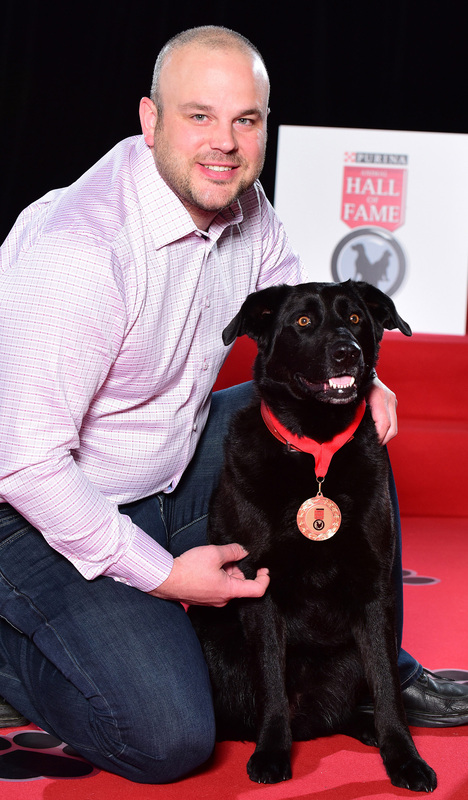 Through their profound perception and courage, this year’s inductees have demonstrated an unwavering commitment to their humans. 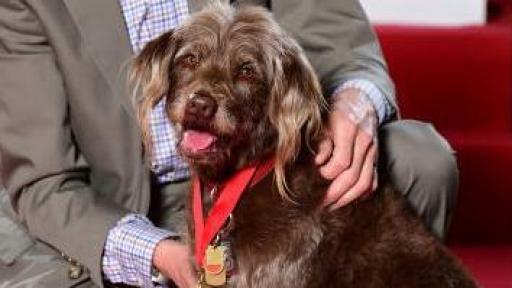 Zola (seven-year-old chocolate Labradoodle from Toronto, ON) – December 2014, Matthew Church returned from a long bike ride complaining to his wife, Patricia, of pain in his shoulder and elbow. She gave him a couple of aspirin before Matthew went to the third floor of their home to watch television. Suddenly his heart stopped and with it, all his vital functions. Matthew fell to the floor, and was clinically dead. Totally unaware two floors below, Patricia was reading in the living room with Zola resting at her feet. Patricia heard a heavy thud but brushed off the random noise. Zola, normally a quiet dog with a relaxed demeanour, suddenly began growling and barking – aggressively trying to rouse Patricia. Zola practically chased her to the base of the stairs and continued barking. Not knowing what to make of Zola’s behaviour, Patricia followed her up the stairs. When they reached the top floor, they found Matthew lying face down, immobile and turning blue. Patricia immediately began CPR. Their daughter called 911 and within minutes, paramedics arrived. They restarted his heart with a defibrillator and rushed Matthew to the hospital. He miraculously made a full recovery. Matthew is indebted to Zola for her actions in what instigated an incredible series of interventions that not only saved his life, but in fact brought him back to life. 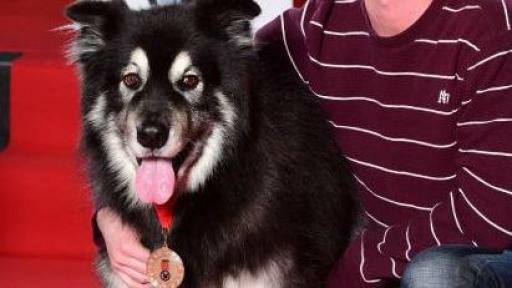 Rex (nine-year-old Alaskan Malamute German Shepherd cross from Aberdeen, SK) – December 2015, Noreen Lucas travelled to Aberdeen, SK to celebrate the holidays with her son, Mitch Hawman and his family. During her stay, Noreen developed pneumonia and on Christmas Eve stayed home, while the family drove to Saskatoon for a holiday dinner. Noreen took a sleeping pill to help her rest and fell asleep on the couch. The medication set in and Noreen was in a heavy sleep when she awoke briefly to hear Rex barking. This was very odd as Rex seldom barks, but Noreen was too drowsy and quickly fell back to sleep. Determined to wake Noreen up, Rex continued to bark and tug at her pant leg. In a desperate effort to save her, Rex latched on to Noreen’s leg, pulled her off the couch and dragged her across the room towards the front door. Noreen finally woke up and to her shock, an intense fire was raging throughout the home. Mitch and his family were heading back to Aberdeen, when he received a frantic phone call from Noreen who was now safely outside. They called 911, but by the time fire fighters arrived, there was nothing that could be done. The fire had completely engulfed the house. The family is so grateful to Rex for saving Noreen’s life that fateful Christmas Eve. Raya (four-year-old black Labrador Retriever Norwegian Elkhound cross from Fort St. John, BC) – September 2015, Brent Cote went elk hunting with his mom Trudy and his dog Raya. Over the years, Brent trained Raya to be a worthy companion on their outdoor adventures – she wears a pack carrying essentials, follows right behind Brent and never strays. On this particular day, they hiked for several hours but at dusk, decided to head home. When suddenly 20 feet ahead, the bush exploded and a sow bear charged them, huffing and clacking her teeth, to protect her young cub. Just as quickly, Raya ran out in front of Brent (something she is trained not to do) barking and snapping at the bear in a way Brent had never seen before. Raya stopped the bear in her tracks and she retreated. Brent and Trudy started to back up and Raya stayed out in front but they were all still too close in proximity to the bear. Still feeling threatened, the bear charged for a second and then a third time, leaving Brent and Trudy fearful this nightmare would not end well. Raya continued to keep the bear at bay and she eventually retreated, allowing them time to get back to their truck. Once safely inside, Trudy and Brent had a chance to fully absorb the life-threatening nature of this encounter and recognize Raya’s heroic and selfless actions. Raya put her life at risk that day to save theirs. Lonca (two-year old German Shepherd, Police Service Dog, Toronto ON) – November 2015, Toronto Police Service executed a search warrant at a residential address. While Emergency Task Force (ETF) prepared to enter the front of the building, Lonca and Steve were stationed at the back, to prevent suspects from fleeing. As the ETF breached the front door, a man armed with a weapon ran from the building towards the officers out front. Knowing both the officers and the suspect would be in danger if a confrontation occurred, Steve deployed Lonca who quickly brought the man down. The suspect refused to surrender and began to violently strike Lonca with a large machete. Lonca was struck many times in the head, neck and body, but despite his injuries, remained focused and on-task. In the struggle, Lonca positioned himself between the suspect and the officers, preventing anyone from being harmed. The suspect finally surrendered. 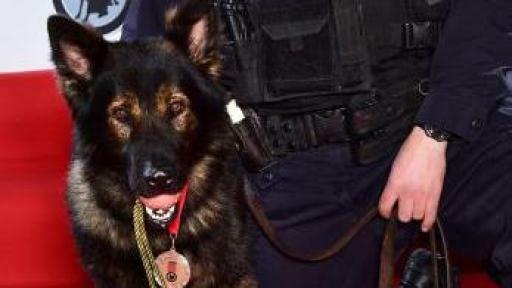 Blood streaming from his mouth, Lonca then led Steve back to the rear of the premises where they assisted with the surrender of a second suspect. Steve rushed Lonca to the emergency veterinary hospital to tend to his injuries and Lonca has since made a full recovery. Lonca’s bravery and determination, even in the face of danger, contributed to the safe resolution of the situation for officers and suspects alike. 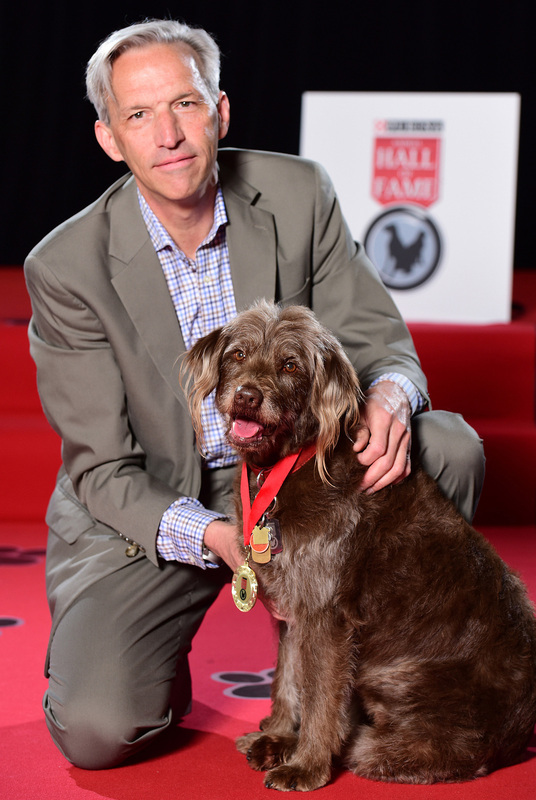 Life-saving stories like the ones shared through the Purina Animal Hall of Fame showcase the strong bond that exists between people and pets, and also the invaluable role that animals play in our lives: not only can they save our lives, but they also enhance our lives on a daily basis. In addition to Zola, Rex, Raya and Lonca, Purina also honoured one more special pet this morning who was the very first recipient of the Purina Better Together Award, recognizing the significant difference this pet has made in the daily life of his owner. 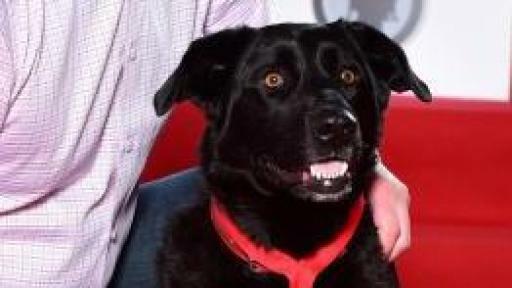 Shadow is Kayla’s seizure response dog. Kayla suffers from epilepsy (due to a cancerous brain tumor) and she was advised to get a seizure response dog to help manage her episodes. 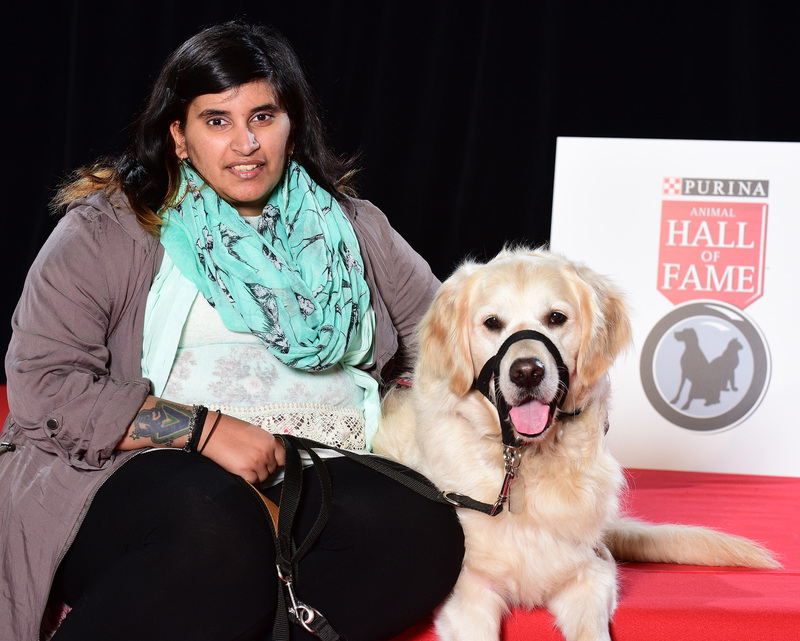 Kayla was matched with Shadow three and a half years ago through the Lions Foundation of Canada Dog Guides and this new relationship has completely changed her life. Shadow is truly her best friend and loyal companion. Kayla believes Shadow came into her life at a time when she needed him most, and since then, Kayla has gained her independence back. Shadow has helped Kayla overcome obstacles and take on new challenges that she never thought she could. Overall, Kayla is grateful to Shadow for always being there for her as her “guardian angel” – protecting and watching over her as well as giving her family peace of mind that Kayla is always in good hands (or “paws”). From now until June 30, pet lovers across the country can submit their personal stories online highlighting how their pet has had an enormous impact on their life or the life of someone they know, and why they should be recognized as Purina’s next Better Together Award recipient. 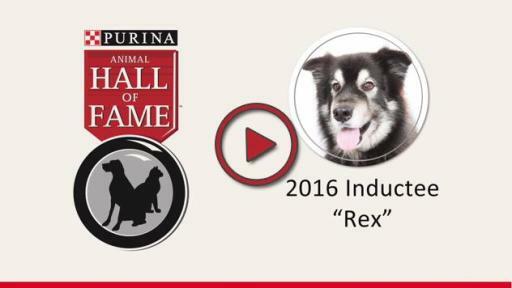 This fall, Canadians will be invited to vote for their favourite story, and the selected pet and pet owner will be announced at the 2017 Purina Animal Hall of Fame. For more information about the Purina Animal Hall of Fame and Purina Better Together Award please visit www.purinahalloffame.ca. 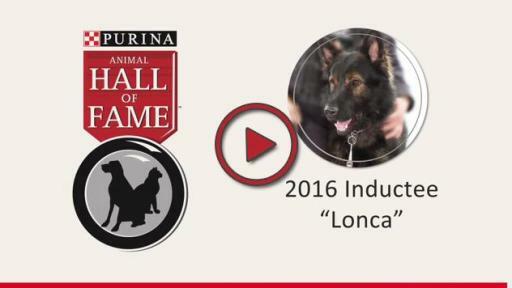 To watch videos of this year’s inductee stories, visit www.youtube.com/PurinaCanada. Nestlé Purina PetCare Canada is a leading pet care company and global manufacturer of quality pet brands, including: Pro Plan, Purina ONE, Friskies, and Tidy Cat. Nestlé Purina promotes responsible pet care, humane education, community involvement, and the positive bond between people and their pets. 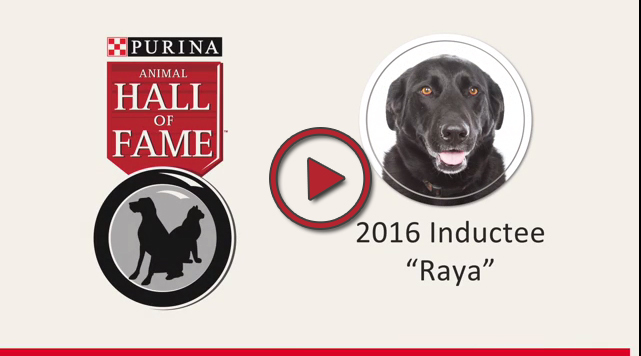 Our promise, “Your Pet, Our Passion”, and the creation of Purina PawsWay, the permanent home of the Purina Animal Hall of Fame, reflect our commitment to pets. For information about Nestlé Purina PetCare Canada visit www.purina.ca.